Security in Agago District has been tightened after a raid by armed Karamojong warriors on Monday evening left three people dead and several others injured. 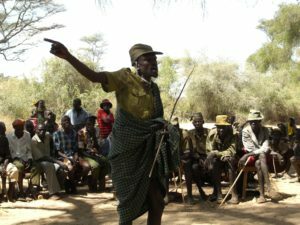 According to the Resident District Commissioner, Mr Charlse Ray Okwir Charles Ray, the Karamojong warriors attacked Anywang-Gai village, Omiya Pacwa Sub County in Agago District. The deceased have been identified as Dosiano Ocaya, Bosco Otto and Walter Ocan While the injured is David Oyo, who is admitted to Dr Ambrosoli Kalongo Hospital. Oyoo, who has a deep cut on the head, said they had gone to check on their metal traps that they had set to catch wild animals at the time of the incident. “When 10 Karamojong warriors came rounded us and arrested us, they tied both our hands from behind and and started cutting us with an axe,” he said. He said the deceased were shot with bows and arrows as they tried to run away. “I was cut several times and the warriors left me thinking I was dead. I managed to crawl and good Samaritans helped me on the way,” he said. The UPDF 4th Division spokesperson, Major Telesphor Turyamumanya, said security has been beefed up. “We regret the incident that took the lives of the three people, we hope it’s not repeated,” he said.